Having posted my last review of the shortlisted books for the 2013 Walter Scott Historical Fiction Prize, it is time for my feature in which I give my opinion of the books on the shortlist. 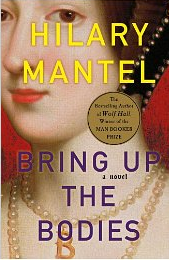 I have to say that 2013 is another difficult year with several excellent historical novels on the list. Let’s begin with the ones I didn’t like as well. Although The Daughters of Mars by Thomas Kenneally tells an interesting story about nurses in World War I, it keeps such a distance from its characters that you lose some interest in what happens to them. Merivel: A Man of His Time by Rose Tremain accomplishes the same thing with its semi-comic, mocking tone. I became more involved in Toby’s Room by Pat Barker. An important consideration for this prize is how fully realized the period and place seem to be, and in this novel that goal was accomplished. It was also accomplished in The Streets by Anthony Quinn. These were both good, solid, and interesting historical novels. By far the two best novels, though, were the winning book, The Garden of Evening Mists by Tan Twan Eng, and Bring Up the Bodies by Hilary Mantel. They both created an entrancing world for their characters and were beautifully written. When I sat down to write this feature, my intention was to choose The Garden of Evening Mists, probably because I had read it more recently. I posted my review of that book a few months ago and of Bring Up the Bodies way back in 2012. However, rereading my original review of that book made me remember how much I was impressed by it. Therefore, I find myself unable to choose between these two books. 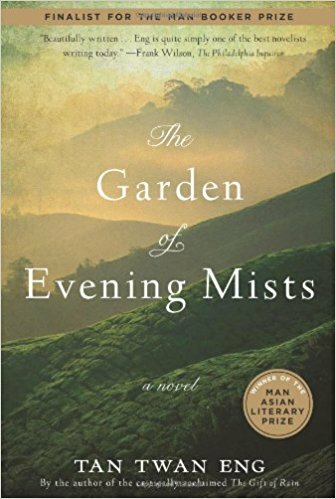 For this year, with quite a few good books to chose from on the list, I find that the most impressive were The Garden of Evening Mists and Bring Up the Bodies. It is Victorian London. David Wildeblood has obtained a job as a gatherer of information for “The Labouring Classes of London,” a weekly paper owned by Mr. Marchmont. He is assigned the neighborhood of Somers Town, where he observes what is going on and makes calls to gather information about the households. David doesn’t do well at first, because he doesn’t understand the dialect spoken in Somers Town. He is also robbed twice and almost killed when he tries to pursue the second robber. But an encounter with a young coster, Jo, saves him. Slowly, David begins to realize that something is going on in the neighborhood. First, he helps protest against the landlords, who are charging the poor exhorbitant rents for ruinous quarters, by finding out who the owners are. As it turns out that the owners are on the council in charge of taking tenant complaints, that raises the storm. But eventually, David learns that something even more corrupt and disturbing is going on. The blurb of this book compares it to Dickens, and that comparison has some validity. 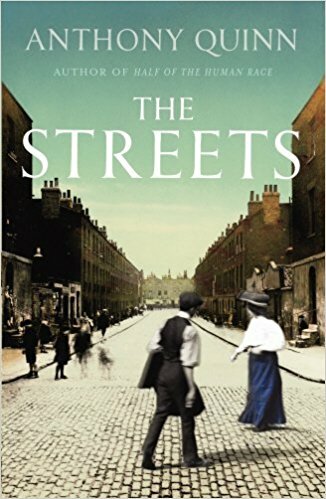 Although this novel doesn’t teem with humor and colorful characters, it does contain effective descriptions of London neighborhoods and the city’s poor. It is well written and nicely paced, and I enjoyed reading it. This book was another one I read for my Walter Scott Prize project. Having finally reviewed the last book on the shortlist for the 2011 Walter Scott Prize for Historical Fiction, it is time to write this recurring feature, where I give my opinion about which book I feel deserved the award. This was a year with several entries that were unusual and one that I felt was not actually a very good novel. 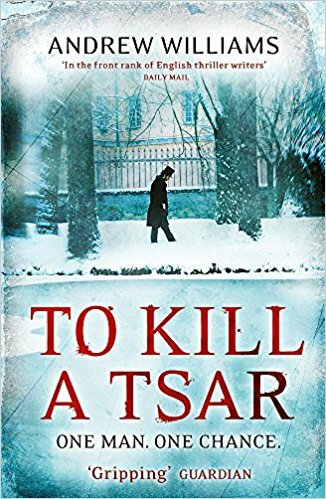 Let’s start with that one, To Kill a Tsar by Andrew Williams. This novel about a plot to assassinate Tsar Alexander II was presented wrapped around an unlikely and uninteresting love story. I was never sure whether I was supposed to feel sympathy for the plotters or not. I didn’t. 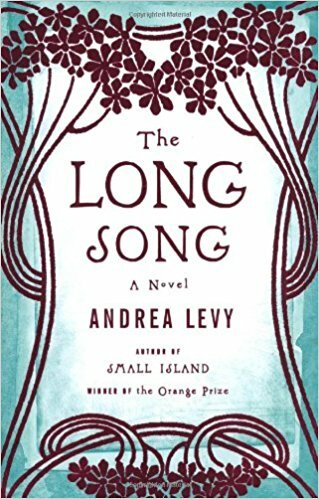 The winner for that year was The Long Song by Andrea Levy. Although this is an interesting novel about the last days of slavery in Jamaica, I felt it was somewhat distancing from its characters. However, this sad story is told with humor and lightness. Heartstone by C. J. Sansome is an entry in his Matthew Shardlake series set in Tudor England. Although this series is outstanding for its thorough immersion in the Tudor world, this novel was impeded in its effectiveness, I thought, by the subplot involving Ellen Fettiplace. C by Thomas McCarthy is an unusual story of the life of a young man, set in the early 20th century and ending during World War I. 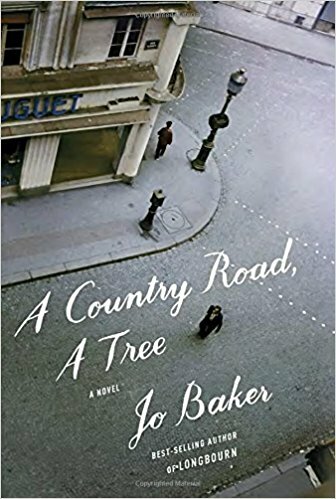 Again, this novel, which wanders about among many different pursuits of its main character, was interesting but seemed detached from its subject, as was I. One of the most beautifully written entries for that year is Ghost Light by Joseph O’Connor. This is the story of the poet John Millington Synge and Molly Allgood. 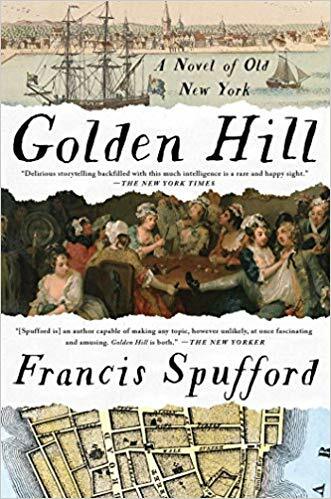 Characterization is more important in this novel than the historical setting, which I think is vital for a novel considered for an award for historical fiction. 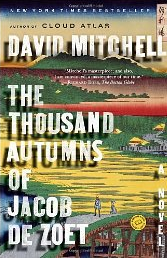 That leaves one of my favorite books of all time, The Thousand Autumns of Jacob de Zoet by David Mitchell. This novel is set in 18th century Nagasaki, Japan, during the first opening of Japan to the West. Jacob de Zoet becomes one of the first Europeans to be allowed to set foot off the island called Dejima where all the Europeans are restricted to live. This novel was full of the flavor and customs of 18th century Japan as well as a good story about corruption in the Dutch East India Company. Although several of the books on this year’s list are worthy of the award, my personal choice is The Thousand Autumns of Jacob de Zoet. I have such a struggle with reading eBooks that I often put them aside while I’m charging my iPad and pick up a paper book, only to not return to the eBook until I finish the paper one. This is what happened with To Kill a Tsar, which was the paper book I picked up. Sometimes, the reason for continuing with the paper book is that I’m engrossed in it, but this time, it was just because I was finding the eBook no better. The main character of To Kill a Tsar, Dr. Frederick Hadfield, is a Russian of British ancestry whose uncle is high up in Russian political circles. Hadfield has recently returned from studying in Switzerland and has liberal tendencies, which in Russia makes him a radical. At a radical social event, he meets Anna Kovalenko and agrees to help her on Sundays at a free clinic. He is drawn to her, but he realizes very soon that she is part of a political group who just attempted to assassinate Tsar Alexander II. Does he avoid her despite his belief in nonviolence? No, of course not. For me, this is one of the many places where the novel breaks down. To keep us interested in this story about terrorists, we are presented with a wholly unconvincing love story. Then, there is the question of what the author is asking of us. Are we supposed to sympathize with these people, who don’t care how many people are killed, as long as they make their point? Certainly, Williams doesn’t spend enough time revealing the characters of the police for us to sympathize with them. In fact, there is a subplot of an informer inside the police, but when his identity was revealed, I didn’t even know who he was. I honestly couldn’t figure out what Williams was thinking when he made his choices. There were lots of things he could have done to make this novel interesting. He could have, for example, worked more to make us sympathize with one side or the other instead of assuming, in this age of terrorism, that we would think “No rights? Of course, kill the tsar!” never mind that, as tsars go, Alexander II was one of the most liberal. If Williams simply wanted to report what happened without following a side, he could have left out the lame love affair and spent equal time with both sides. If he wanted us to sympathize more with Hadfield, then make his reactions more understandable. This is one of the books on my Walter Scott Prize list that I didn’t enjoy that much. That has happened before, but in this case, I also didn’t think it was a very good novel. I don’t think that has happened before. Yet again, I had no idea that Tightrope, which I read for my Walter Scott project, was a sequel until I went into Goodreads to indicate I had started reading it and saw that it was “Marian Sutro #2.” In this case, the novel seemed to recap the events of the first novel rather heavily, so I don’t think I missed anything by skipping the first book except maybe some feeling for Marian. I found Mawer’s The Glass Room to be icy in its distance from the characters, so I wasn’t excited about reading Tightrope. It turned out to be better than I expected but not much. 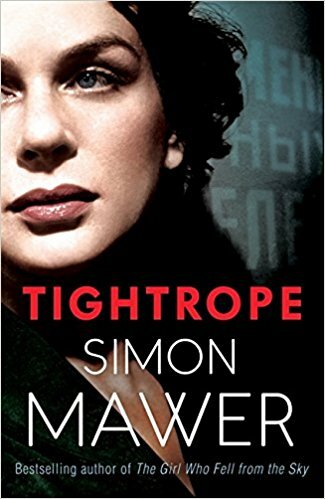 Tightrope begins toward the end of World War II, when Marian Sutro returns to England. She was one of the women sent over to infiltrate Europe during the war, where she worked with the French resistance. But she was betrayed and spent the last two years in Ravensbrück. Shortly before the liberation, she and some other women managed to escape. Because of Marian’s background, she is of interest to the British secret service. She is of interest to the Russians, too, primarily because her brother Ned is a nuclear physicist. Her own beliefs that knowledge of nuclear weapons must be shared to maintain peace also draws her into the midst of the Cold War. This novel is narrated by Sam, the son of one of Marian’s friends, and his story contains lots of details he couldn’t have known, even though he had access to her file and she tells him parts of her story. This narrative also allows Mawer to insert a certain amount of salacious detail, as Sam has a mad adolescent crush on Marian. I think I mentioned Mawer’s fascination with labia in my last review. Marian is essentially an unknowable character, which kept me, as a reader, from becoming very engaged with her story. It didn’t help that she seemed to be the product of some adolescent idea of a perfect woman—a beautiful woman who sleeps with just about every man she meets and cares for none of them. Yet we are to believe she cares for one, even though there is little evidence for it. I found the book blurb, which says “Marian must risk everything to protect those she loves . . .” laughable. Quotes on the cover call Mawer “a true master of literary espionage” and call the novel “gripping.” If you want gripping, try John Le Carré or Robert Harris instead.